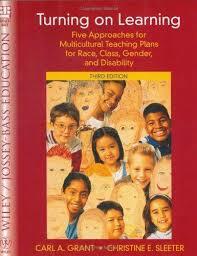 245 1 0 %a Turning on learning : %b five approaches for multicultural teaching plans for race, class, gender and disability / %c Carl A. Grant, Christine E. Sleeter. 260 %a New York : %b John Wiley & Sons, %c 2003. 300 %a XII, 381 s. : %b il., mapy ; %c 23 cm.